Denny Jump (Bellevue, WA, United States) on 3 October 2011 in Abstract & Conceptual and Portfolio. Sometimes, "seeing through the fog" is a real challenge! Understanding and insight are not acquired traits, they are a learned skill derived from love. In hopes that we can practice tolerance....I wish you all a great week! absolutely wonderful, atmospheric image! Love the tall trees, and the softness created by the fog! Wonderul work Denny! @sunstonemaria: Thank you very much Maria -I am truly honored..your images are so fantastic!! All the best! @Richard: Hi Richard! I really appreciate your kindness and wonderful comments! I feel the same about your images. They are all fantastic! I will be trying to post a few more- we leave Thursday morning for the 6-1/2 hour drive to Vermont. All the best! 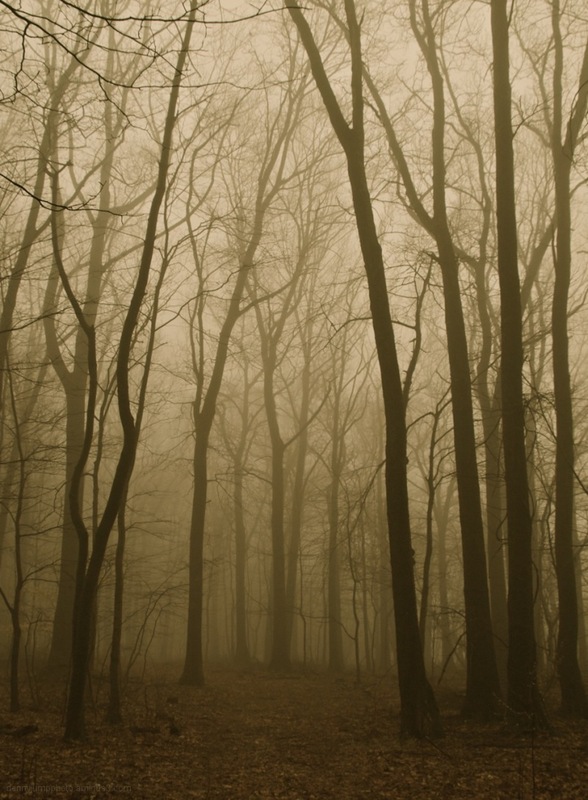 A beautiful woods in the fog. @Steve Rice: Hi Steve - Thank yu very much sir! Like Life itself, an image like this can be interpreted in any way we choose . . an end or a beginning, fog moving in or clearing, the weight bearing down or lifting . . we see what we see. @Ronnie 2¢: Thank you so much Lilly and Ronnie - I hope you both have a wonderful time to recharge, relax, refuel, and renew...your posts are so fantastic! Absolutely beautiful with this muted tones, the perfect ambiance of a winter ballad in the forest. Very atmospheric shot in the woods, love the feeling it gives me. I am sure this will become of my favorites of yours - it is absolutely beautiful (as are your words) - I guess we were both in a "tree mood" today. Love this DJ! You captured the foggy drama perfectly! great this misty mood! very well captured! @klausz: Hi Klaus...thank you very much sir! Your images and work are so magnificent, I really appreciate this kind comment from you ;-) ALl the Best! @franz: Hi Franz - no worries about the "early autumn." That's where we actually are...this image here was shot last year in late november :-) Another tricky denny move ;-) All the best! A beautiful, soft shot in golden foggy light ... and oh to have people get along with each other as these trees do. Excellent narrative! @Judy aka L@dybug: Hi judy - Thank you very much for your kind comment - I always appreciate them...love douy St Cloud shot today - gorgeous! A superb nuanced shot with a lot of staying power, as in I can sit here for a while and admire it. I also like your thoughts. You're a good soul, Denny. Enjoy your trip and bring us back some eye candy. @Rick: Thanks very much Rick! I really appreciate your kind remark.s..I love your work as well - always from the heart..the spooky one today is too cool..All the best! @Eric Cousineau: Thank you so much Eric...If we don't "talk" you and Georgie have a wonderful trip and a Very Happy Thanksgiving, sir! You deserve it ;-) All the Best! Well, you can easily look through these trees in the mist and imagine. @Susan: Hi Susan - Thank you so very much for your comment here and the other day when you left one. I truly apologize for dropping off the radar...I really appreciate your comment and I will not be such a stranger..Thanks very much! How;'s that young girl doing?? A photo with wonderful depth & tone accompanied by fine thought provoking words. By chance I'll be going to Vermont next Monday. Perhaps we'll be able to swap some of that early Autumn colour. Take care. @Williams: Hi Paul - WOnderful...I hope you have a great time...we will bw up by Burlington, Essex Junction to be exact,....speaking with my son-in-law last night, he said that the treesare virtually all still green up their way (same here in OPA as well)...so I am not holding out much hope...that way anything will be a treat ;-) Do you Like my convoluted logic??? Truly fantastic Denny! You captured such a wonderful and moody atmosphere here, and the sepia really adds so much to this image. Excellent work - have a safe and fun trip! EXCELLENT, Denny ! I love it the way it is , and I would admire it with little bit different cropping ... I saw this image on Community page, and as a thumbnail it looks awesome. Try to see it and get a new idea , for maybe next post ! With this different framing, image becomes so abstract, so artistic ...Hope you will not disagree with this new idea ;) Cheers ! Superb, Denny. Absolutely wonderful shot, I love it! I LOVE THE SHOT, AND YOUR WORDS. Everything is fine ! My only suggestion was - a different crop! In fact - forget about it :) This is wonderful what you have ! Great mood and capture...love this! Denny, this is so gorgeous!!! I love fog shots, and the warm tone. Perfect PP. Have a great time in Vermont. I look forward to your shots. Beautiful wise words to go with a beautiful image! Hope your vacation is wonderful! Hi Denny, A gorgeous image and I like what you wrote. Have a great trip! Not "hodge podge and blab" at all! This is beautifully composed with great height and a lot of mood. And your thought-provoking words bring a lot of feeling as well. Safe travels to you as you make your way to Vermont. i like the mysterious and eerie mood that you captured here! great exposure to make the most of this light! @DarkElf: Hi DarkElf! Thank yu very, very much for your kind comment..it is an honour! All the Best! It's nice to see the trees, the forest ... and the space between the trees too. This fog has a presence of its own. Great image. @San G.: Hi San - Thank you so much for stopping by! I appreciate it very much! All the best! You do these atmospheric shots so well. And your insights are also a wonderful accompaniment to your photos. Thank you for sharing both. And have fun on your travels. Fall colors! Can't wait! Wonderful and wise advice, Denny - I think I can now see the path ahead through the trees! Beautiful atmosphere and soft light you capture here. A lovely image to pause and reflect on. @Stephen: Hi Stephen - Thank you so much..Man, I LOVE your image today! It is just awesome! This is a strong atmospheric image with a very definite mood. The deep colorcast gives it a depressing quality for some reason (at least to me) :-) An exceptionally successful image. This is a beautiful, quiet shot - can't hear a thing but the leaves rustling under my feet! Wow, I love this image (being a huge fan of fog and mist). I do love your title for it, too! And your thoughts. It is most difficult to see through the fog in life. A constant challenge. Just as much as it is a challenge to see the forest for the trees. :) Beautiful! this is a beautiful scene Denny, love the fog!!!!! Aww, how i love this - a painting, a romance, an inspired tribute to our beautiful planet ! Bravo. Fantastic mood. This and the previous four images are just spectacular. I've been missing out on some of your best work! Love these foggy shots of yours. I really like this shot! The fog really does wonders to our surroundings! I will add my "WOW" to the rest of the comments. This is so lovely. The height of the trees, the foggy misty quality, the quiet that is implied. Beautiful.